CT 280 is a low-cost kit. 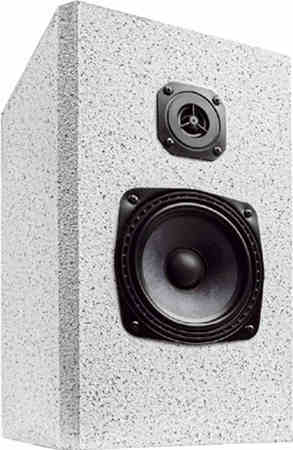 It is a 2 way floorstanding speaker with Visaton haut-parleurs CT 280 has been developed by Alexander Gressler. The crossover consists of a second order high-pass filter (12 dB per octave slope) for the tweeter and for the woofer a first order low-pass filter (6 dB per octave slope) . The frequency response of this loudspeaker is quite linear on axis. At low volume, i.e. 85 dB at 1 m, the nonlinear distortions are lower than 1% above 300 Hz.